A brief on-the-spot report of round 9 of the Biel Grandmasters Tournament including post-game interviews with Ding Liren, Etienne Bacrot, Richard Rapport and Alexander Moiseenko. A brief on-the-spot report of round 8 of the Biel Grandmasters Tournament including post-game interviews with Ding Liren, Etienne Bacrot and Ian Nepomniachtchi. GM Hera(HUN) shared first with GMs Jones and Gormally with 7/9. GM Farago,I(HUN) finished with 6/9. With a population at the 2004 census of 20,626, Helensburgh (Baile Eilidh in Gaelic) is a town in Argyll and Bute, Scotland. It lies on the north shore of the Firth of Clyde and the eastern shore of the entrance to the Gareloch. Helensburgh was founded in 1776 when Sir James Colquhoun of Luss built spa baths on the site of Ardencaple Castle, which dated back to about 1600. He then had the seaside resort town constructed to the east of the spa on a formal layout in the style of Edinburgh New Town, and named it after his wife Helen. White is well placed and has the open g-file while Qa5 is a spectator on the queenside. What do you recommend for white? TWIC is the work of Mark Crowther. GM Hoang won the EICC W Ch with 6/7 and GM Hera shared first in the Scottish Ch. GM Leko has 2/4 so far. (We) met the Hungarian chess legend Lajos Portisch in the lobby and got a short interview. Mr. Portisch told us, that this is his third appearance in Politiken Cup and he likes the tournament because of the nice surroundings, the Konventum hotel, the good food and the nice atmosphere. 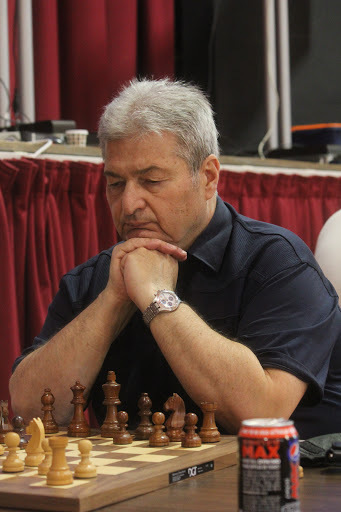 We asked why he so far has not attended any senior chess competitions, Portisch answered, that he has no ambition to become a senior world champion, when he never became world champion in his best period as a chess player. 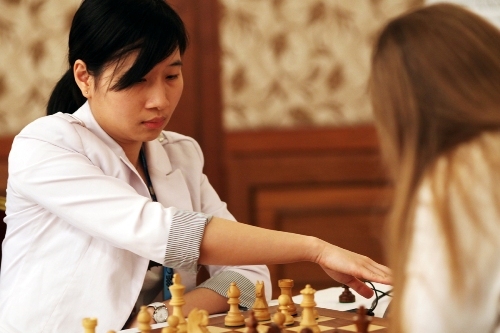 GMs Hoang,Thanh Trang and Gunina,Valentina 6/7. Papp,Petra 4/7. GM Vovk was clear first with 7.5/9. 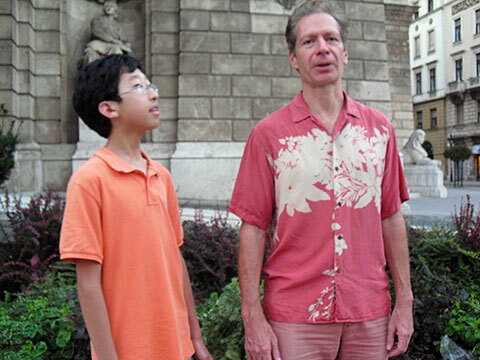 FM Lyell,M(ENG) who is based in Budapest got 5/9. IM Aczel, Gergely took clear first with 6.5/7. Takacs,L and Halak,M shared first with 5.5/6. 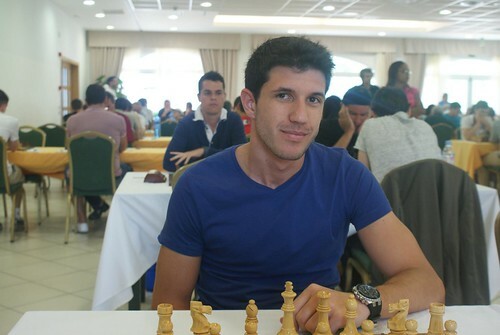 Szoukup, Istvan had a strong tournament with 4/6 and a TPR of 2101(!). FM Radnai,Adam; Bodi, Tibor and Koczo, Kristof shared first with 7/9. Radnai is my RAC teammate so well done. FM Resika Nathan A(USA) completely dominated the field with 9.5/10. White is on the verge of breaking through on the queenside so black is now rushing to generate something on the kingside. What do you recommend for white now? White’s position is tactically suspicious. The unprotected Ra1 is begging to be exploited. What do you recommend for Black? Coming to Budapest for Chess? These are the most expensive tournaments in the city by far and offer no prizes. The target market is foreign tourists. Local players get an unadvertised discount fee which is a well guarded little secret. The standard Hungarian player fee for FM groups is 12,000 HUF(40EUR/ 54USD; 54CAN). Foreigners see website list. Note that everything is negotiable and there are no prizes. This is the price range for FS-FMA RRs. Foreign players(for example FIDE 2000) are charged approximately QUADRUPLE the local player rates. Hidden from tourists are some real bargains. Budapest is the home of affordable tournaments. Many cheap tournaments are available, all with prizes and modest entry fees. Some diligent digging is required to find these events. Check the Hungarian Federation event listing for events. I usually play 4-5 RRs per year for very modest entry fees. These events are harder to find and advertised only in Hungarian. Here is a nice example of an alternative Budapest RR event. This tournament is one example of the hidden little gems Budapest has to offer. I played this event in June for the bargain price of 3,900HUF (14EUR/ 18USD/18CAN). This was net of the Budapest Tournament Card holder 10% discount. Here is the entry fee range in Budapest for a FIDE 2000 player(as an example). This summary shows how far out of line with the overall market First Saturday is(approx 8X the average). GM Drazic won with 7/9. GM Balog(HUN) finished with 5/9. Senta municipality is located in the north part of Bačka region, situated on the right bank of Tisa River. It is 42km away from the state border with Hungary. The Municipality of Senta covers the area of 293km². Besides the town of Senta, its administrative center, it includes the following settlements: Gornji Breg, Kevi, Bogaraš and Tornjoš. Mutual attacks have begun. What do you recommend for white now? Bergamo is a town and comune in Lombardy, Italy, about 40 km northeast of Milan. The comune is home to over 120,000 inhabitants. Here is the feature game of veteran GM Farago. White is ahead an extra doubled pawn but the opposite color bishops give black an illusion of hope. The real problem for black is the weak d-pawn. What do you recommend for white now?